Wholesalers in Birmingham are confident they can steal customers from rival markets following an upbeat start to life at their new £50 million facility. 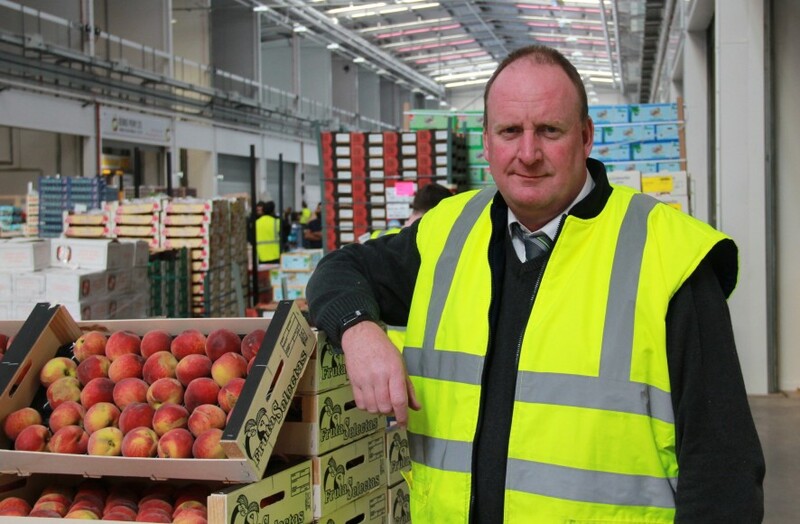 It is hoped the new market, which began trading on 8 May, will become the centre of the Midlands’ food supply chain thanks to its state-of-the-art facilities and convenient location just a mile from the M6. And Mark Tate of George Perry thinks the opening of the new facility will contribute to the wider consolidation of the UK’s wholesale markets. “I think it’ll centralise the markets up,” he said. “I think Wolverhampton Market will close; London will end up eventually as two markets – Western and Spitalfields, because the land at Covent Garden is worth fortunes; you’ll have Bristol, which will serve Wales and the west country; Birmingham will supply all of the Midlands; and then you’ll have the new Liverpool Market, Bradford, Leeds and Glasgow. Traders praised the new market for being bright, airy, clean, tidy and more welcoming than the old site, which they agreed was no longer fit for purpose. Craig stressed it was important for the market committee to promote the new site properly “so that customers remember where we are”, adding that there was a “small risk” attached to the new facility’s later opening time of 3.30am – the old market started trading at 1am. “Some customers used to like coming really early, either because they felt they had the pick of the crop or they had a long journey back, so they will have to adjust to that,” he explained. However, he said he was optimistic about the market’s future, especially with Birmingham hosting the Commonwealth Games in 2022. The new market, in Witton to the north of Birmingham, includes 78 units selling fruit and vegetables, meat, poultry, fish and flowers, along with nine warehouses, a café and management offices. On the opening day, members of the Birmingham Wholesale Market Company, which runs the market, showed leader of Birmingham City Council Ian Ward and corporate director for economy Waheed Nazir around the new site. Ward said: "This state-of-the-art facility brings the markets firmly into the 21st Century and I'd like to thank traders for working with Birmingham City Council on this project. “I'm sure Birmingham’s historic wholesale markets and the many traders working there will now grow from strength to strength." The new site will be open 3.30am-11.30am Monday to Friday, and 3.30am-9.30am on Saturday.